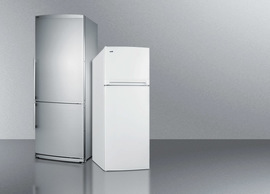 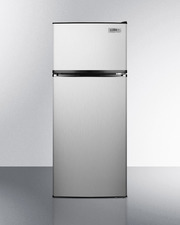 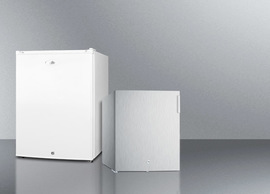 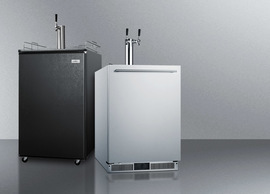 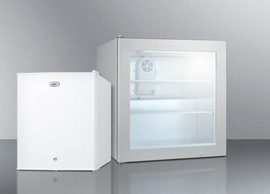 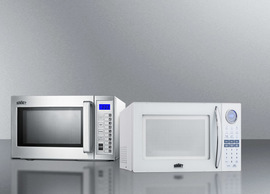 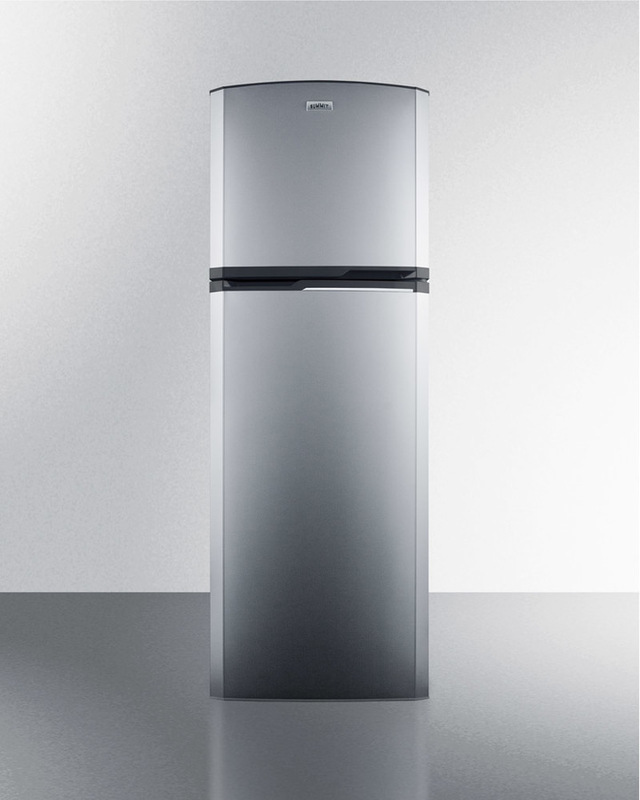 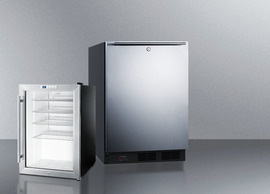 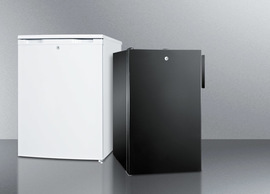 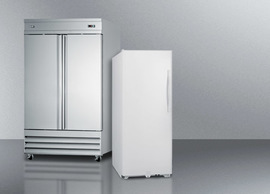 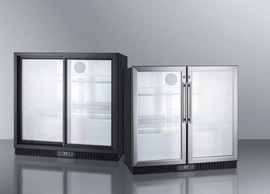 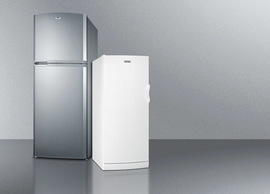 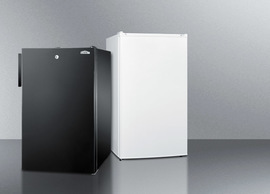 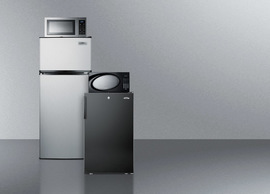 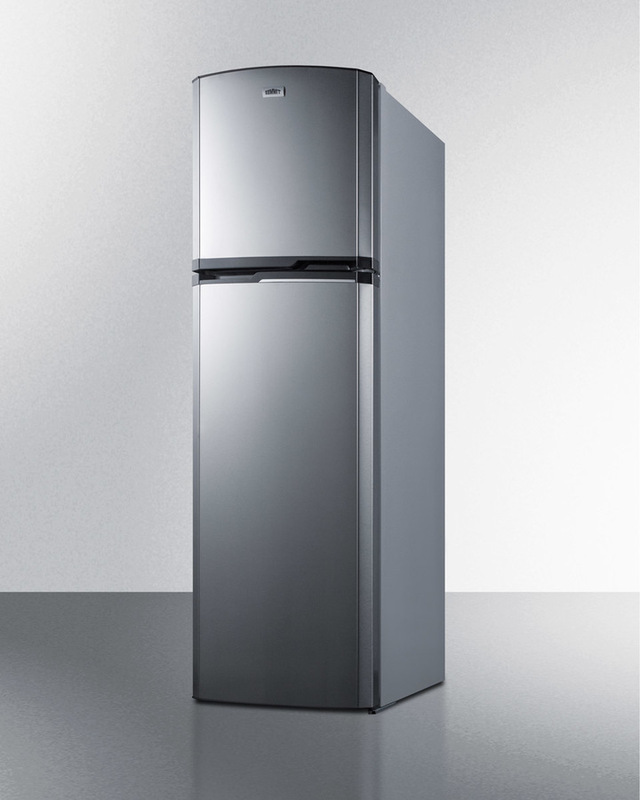 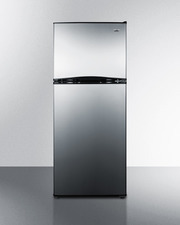 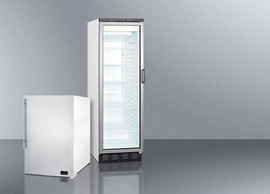 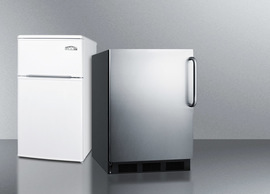 SUMMIT's thin-line collection of frost-free refrigerator-freezers brings quality and convenience to even the smallest kitchen space. 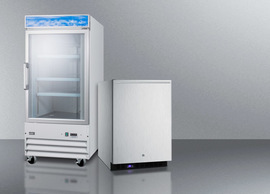 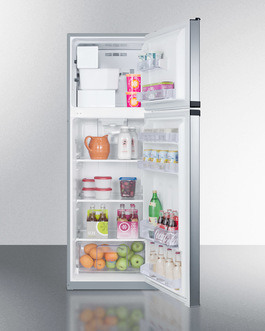 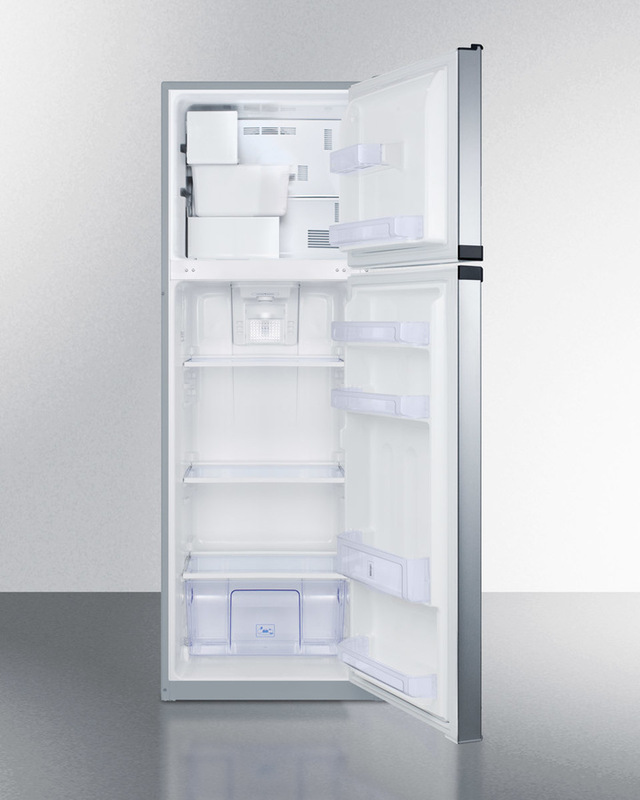 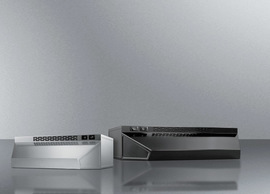 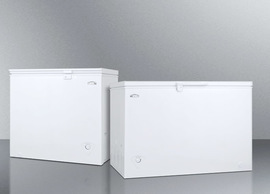 The FF948SSIM offers a full 8.8 cu.ft. 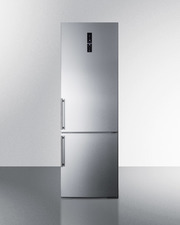 capacity inside a slim fit, with a unique curved door design for added style. 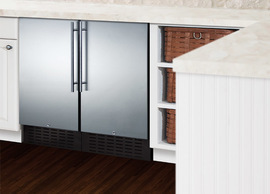 The fresh food section includes adjustable glass shelves for spill-proof storage and easy cleaning, with a large tilt-out crisper and four door racks to help keep your refrigerator organized. 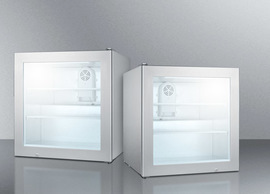 The large freezer section includes a removable wire shelf and two door racks for added convenience. 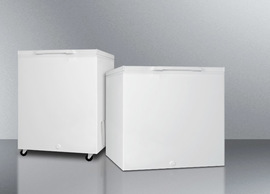 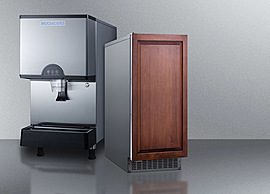 A factory installed icemaker offers a steady supply of ice cubes. 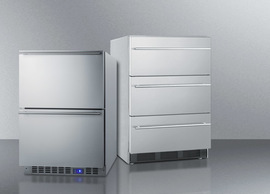 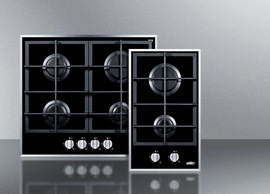 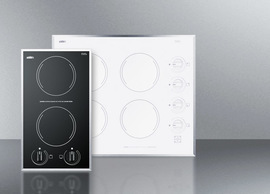 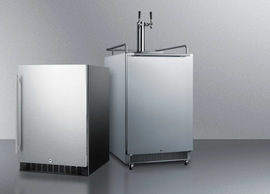 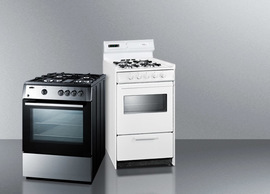 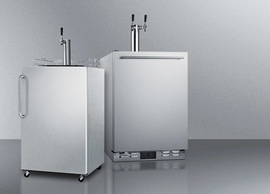 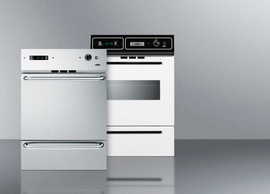 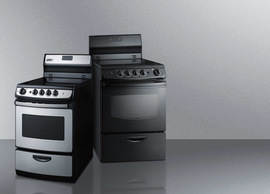 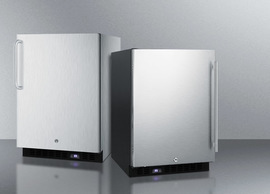 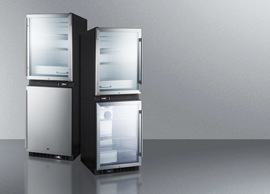 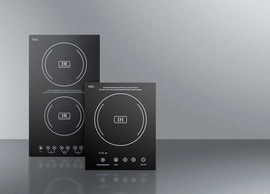 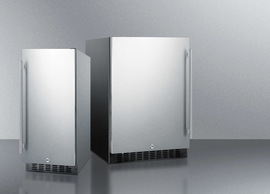 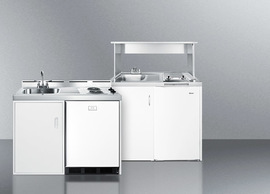 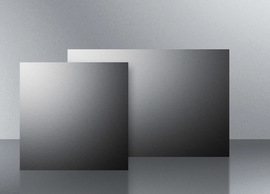 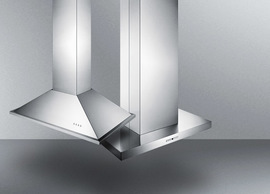 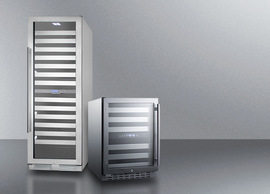 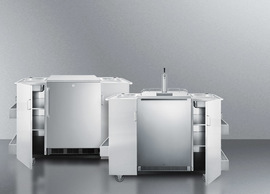 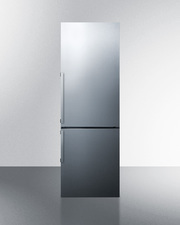 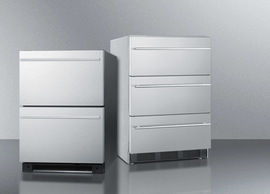 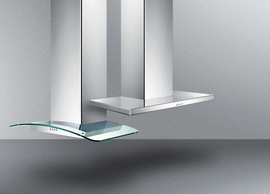 Made in North America, the FF948SSIM includes reversible stainless steel doors and a platinum cabinet. 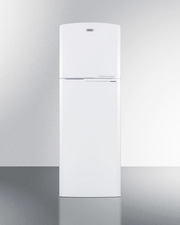 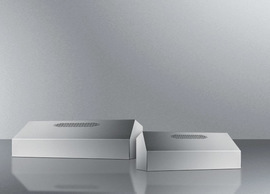 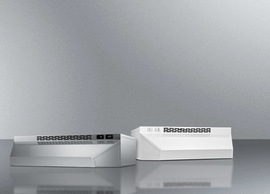 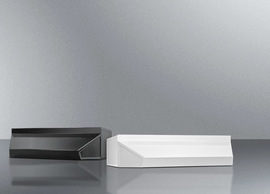 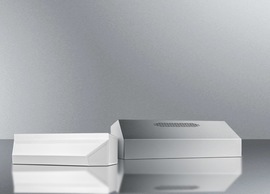 For this unit in white, see the FF946WIM. 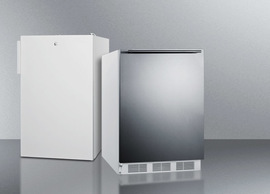 NOTE: Because of this unit's curved door style, the FF948SSIM requires an additional 1 3/4" of width to open the doors to a full 90º. 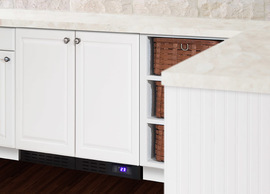 If placing this unit against a right angle wall, be sure to accommodate this extra space.